A home is usually the biggest asset a consumer will ever acquire in his or her lifetime, but the stringent implementation of the National Credit Act by financial institutions is making it more difficult for potential home owners to enter the market. First time buyers and the self-employed are particularly affected. Nearly 50% of employed bond applicants are declined every month, while almost 58% of self-employed applicants cannot secure home loans (source: www.ooba.co.za). 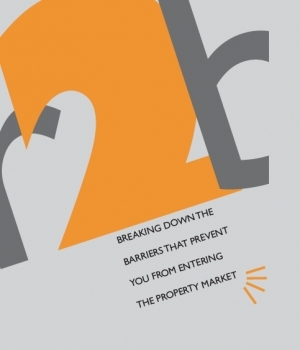 Rent2Buy, a new concept for the South African property market, gives potential buyers and property owners an alternative way to buy and sell properties. 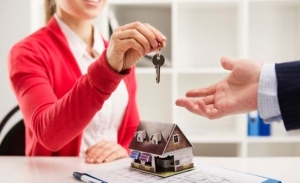 “We negotiate agreements between potential buyers and sellers whereby the buyer concludes a rental agreement with a seller with an option to purchase the property by a certain date and at an agreed price,” explains Meyer de Waal, the founder of Rent2Buy, and a practicing attorney and conveyancing lawyer. The seller is assured of a selling price for his property in the future, while the buyer pays rent approximately equal to the buyer’s future bond repayment. The buyer is able to take immediate ownership of the property, and takes over the responsibility of the property, including all rates, taxes, levies and maintenance which would apply if he or she were the home owner. • The absence of a deposit. Although some banks advertise that 100 percent bonds are being granted again, the success rate of these applications is low. • Affordability is the second reason. A bank would rather decline a loan than take the risk that the client will not be able to service the loan. This causes a major problem for self-employed applicants in particular. • The third reason for declining credit has to do with the applicant’s credit history. Many applicants are not aware of the banks' sophisticated credit search engines. A judgment against their name or a late payment of an account stops their application. Banks can easily trace this information. With this in mind, Rent2Buy launched a home owner education programme designed to train and mentor bond applicants to increase their success rate of securing a home loan in association with Setsmol Training, managed by Solly Molefe. The My Budget Fitness programme looks at improving an applicant’s credit rating and affordability, and essentially puts the applicant on the path to become financially fit for a home loan. The programme is unique as it assigns personal [or budget] financial trainers to applicants, and uses innovative software to help home loan applicants track their progress and reach a financially fit state. Through mentorship, education and month-by-month guidance, home loan applicants reach affordability and clear their credit record as required under the National Credit Act. The programme is available to anyone looking to secure a home loan, and not only for customers of Rent2Buy. “The aim of My Budget Fitness is to help home loan applicants build up and reach a financially fit state, and to remain that way once they’ve secured their bond,” says De Waal. Solly Molefe adds that potential buyers who start with the My Budget Fitness programme 6 to 24 months before applying for a loan will enhance their ability to secure home loans through the education process. The group aims to ensure that each bond application submitted for a client with a financially fit budget is approved.